Theatre and cinema, opened 20 May 1912. Demolished 1953 in favour of the high-rise block "Bay Towers". 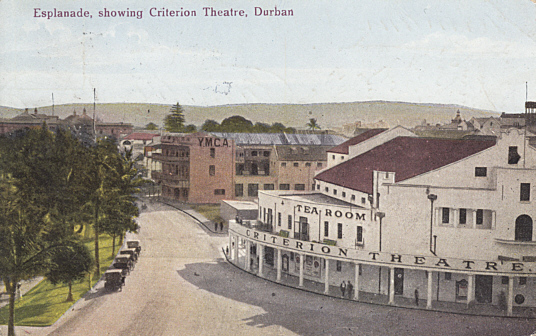 Front Text: "Esplanade, showing Criterion Theatre, Durban", inscriptions: "Tea Room", "Criterion Theatre"